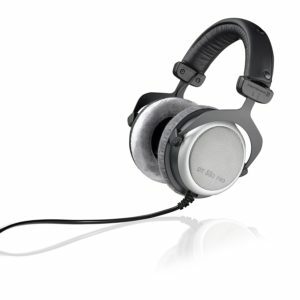 The Beyerdynamic DT 880 is a great investment for those who want an excellent sound signature for mastering and mixing. 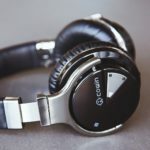 Even those who simply want to enjoy listening to their favorite music can benefit from these headphones. Weighing 9.5 ounces, the DT 880 comes with a 15′ headphone-extension cable with 1/4″ connectors, single-sided 9.5′ cable with a mini-plug and a screw-on 1/4″ plug, which is perfect for home use. Both the mini-plug and 1/4″ plug are gold-plated. Read this Beyerdynamic DT 880 review to know what the headphones are all about. 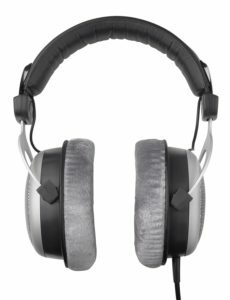 The Beyerdynamic DT 880 is semi-open design style which differs from the Beyer dynamic DT 770 250 Ohm which closed-back design. The semi-open design of the Beyerdynamic DT 880 means you can enjoy the features of both closed and open headphones. 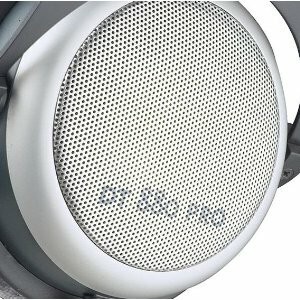 You can hear the outside world, but the DT 880 Pro’s external, released sound is not as loud as the sound produced by open headphones. As such, you will not disturb people around you. The DT 880 has cushioned grilles and dynamic drivers that provide an excellent 5Hz-35kHz frequency range. It also comes with a 0.25″ headphone jack adapter. The carrying tote has a name tag that you can fill out. The Beyerdynamic DT 880 delivers a solid, precise low-frequency response. It sounds powerful and full in lows while remaining balanced all through the frequency range. The DT 880 Pro doesn’t reduce thumps to thin taps or make them sound heavy and exaggerated. It delivers clear high-mids, low-mids, and highs. 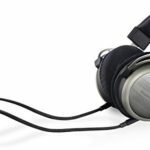 A sweet mid-range, splendidly controlled highs, and expressive dynamics make the Beyerdynamic DT-880 Pro make it a well-balanced headphone, but it might not be the best choice for those who love heavy bass hip-hop, electronic or rap as the DT 880 doesn’t provide the heavy bottom-end response needed for such kind of music. 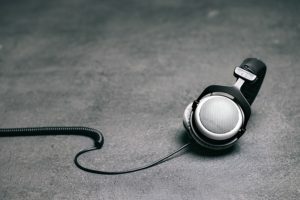 However, you will love these headphones if you are looking for clear sonics with lots of sweet detail, lively soundstage presentation, remarkable upper treble range extension, and quick dynamics. The Beyerdynamic DT 880 delivers excellent audio quality for symphonic, jazz, acoustic folk, classical, chorale and chamber recordings. 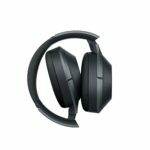 One of the best things about the DT 880 Pro is that it has large plush velour-covered circumaural ear cups that offer sufficient cushioning, so it’s very comfortable to wear. Although the frame is large and will take some time getting used to, the headband has ample cushioning. The right and left ear cups are adorned with an R and L and braille. The detents along the adjustor of the headband guarantee a secure fit. 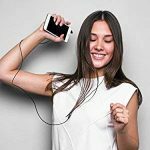 You can listen to your favorite songs for hours without any discomfort. If you frequently watch movies on your laptop, the Beyerdynamic DT 880 is a great choice. However, you may want to reconsider if you are planning to use it in the office. Since the back of the headphones is semi-open, it leaks sound. If your coworkers get disturbed even by the smallest of sound, you may want to leave your headphones at home. If you are working at home, you will enjoy long listening sessions. The large ear cups distribute weight evenly and all points of contact with your head are soft and well-padded, so the DT 880 is very pleasurable to wear. The DT880 doesn’t have an inline remote, so it’s not a great option for use with mobile devices. The headphones are more compatible with stereo and pro gear systems. Since the headphones have a semi-open design, you can expect sound to leak through the outer sections of the earcups. The DT880 is too bulky and large for on-the-go use, so it’s more suited for home use. The cable is also hardwired. You cannot remove and replace the cable if it’s damaged, so you have to send it away for repair. However, the cable is durable so it’s less likely to easily develop wear and tear. While you can use the DT 880 Pro with your mobile device, the high 250 Ohm impedance means reduced bass response and the maximum audio levels will not be very loud. The 9.8′ coiled cable is also designed for home stereos or for studio use. The headphones have no mic for taking calls. On the other hand, if you’re seeking accuracy when it comes to music, you won’t be disappointed with the DT880 Pro. 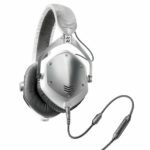 The Beyerdynamic DT 880 offers brilliant accuracy and can help musicians and engineers maximize their mixes and enjoy listening to their favorite songs better. It provides exceptional clarity and strong bass depth without sacrificing the lows. The DT 880 also offers a comfortable fit to its adjustable, rugged and soft padded headband. All parts of the headphones are replaceable, so you can have it fixed without any problem. Since it comes with a foam-padded carrying case, you don’t have to worry about its storage. If you are looking for headphones, you should definitely consider the DT 880 Pro.